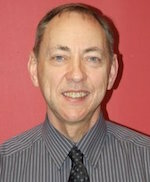 Mr Young joined CHS in August 1997 as Depute Rector, replacing Mr J McGhie. With the departure of Mr O’Brien in December 1999, he was promoted to lead the school through many changes. These included two of the biggest challenges a school community could face: amalgamation and change of premises. The amalgamation of Braidfield High School with CHS took the school roll to almost 1,500 pupils. The construction of a new Clydebank High has resulted in a modern school building which is “fit for the 21st century”.